I have always felt that there has been something of a hole in the 28mm sci-fi vehicles market since Old Crow Models essentially ceased trading. 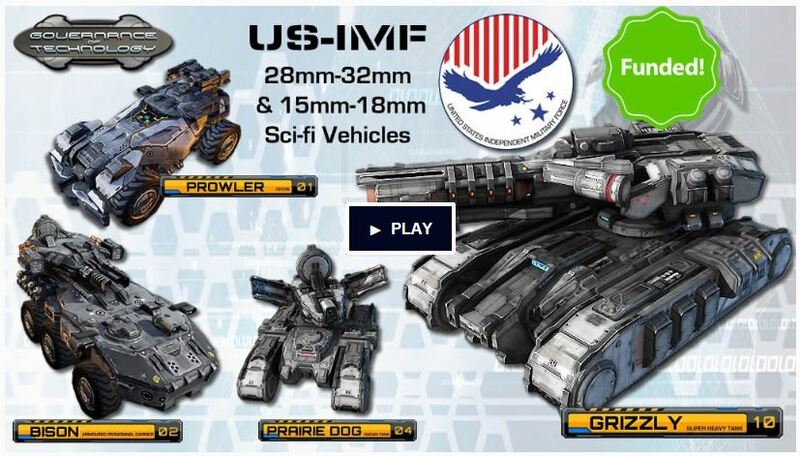 This week Antenocitis Workshop have launched a Kickstarter project to produce a new range of vehicles in both 28mm and 15mm to add to their existing Governance of Technology range – the United States Independent Military Force, or US-IMF. The kickstarter project is running until the 16th August, and has already rwahced over 200% of its £6,000 funding goal. Delivery is due in July 2018.